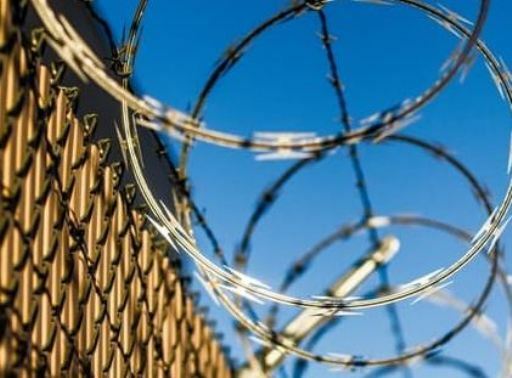 SACRAMENTO, Calif. (CN) – Calling on California to sever ties with the private prison industry, a state lawmaker wants to nix contracts with for-profit prisons and ban the state’s public pension funds from ever investing in them again. Responding to the federal government’s “cruel immigration policies,” Assemblyman Rob Bonta, D-Oakland, says he wants to make sure undocumented immigrants are not detained in any of the private prisons operating in California. “These companies are not only facilitating the Trump Administration’s political agenda, but profiting from the cruel, zero tolerance immigration policies that have torn innocent children from their families. This is inhumane and not in line with California’s values,” Bonta said of Assembly bills 32 and 33. The proposals come less than a month after the California State Teachers’ Retirement Board began divesting $12.1 million from CoreCivic and Geo Group, two of the country’s largest for-profit prison companies. Public agencies in New York, Illinois, New Jersey and Pennsylvania have also divested from the industry. Bonta’s AB 33 would require the teachers’ union and the California Public Employees’ Retirement System to permanently divest all their holdings. Along with striking a financial blow, Bonta wants the private prisons shuttered for good in California. The first-ever Filipino American state lawmaker and former San Francisco deputy city attorney’s efforts to phase out private prison use comes just a few months after outgoing Gov. Jerry Brown vetoed his first attempt. While Bonta’s bill cleared the Legislature with bipartisan support, the governor said the private prisons give the state the necessary flexibility to keep populations at the 34 state prisons under federal guidelines. But Bonta counters that as of May 2017, California’s inmate population was below the feds’ court-ordered cap, making it possible to bring the approximately 9,000 inmates in private prisons back to state-operated ones. He says the private prison industry is more interested in meeting incentives and profits for shareholders than rehabilitating inmates. “There is no place in our country for corporations that profit from incarcerating folks, tearing apart families or putting children in cages,” Assemblywoman and co-author Lorena Gonzalez-Fletcher, D-San Diego, said in a statement. The two leading for-profit groups operate dozens of detention facilities in California and according to the state’s campaign finance database, also made campaign donations to a variety of state Democrats and Republicans, including $1,000 donations to both Bonta and Gonzalez-Fletcher. Bonta sidestepped questions about the CoreCivic cash sent during his successful re-election bid. “I’ve had a clear and consistent position on California’s use of for-profit, private prisons for years: That we should not use them. I authored legislation in 2017 to end California’s use of for-profit, private prisons. The Legislature supported the bill, but unfortunately the governor vetoed it. I am again authoring legislation to do not only that, but to also require CalPERS and CalSTRS to divest from for-profit, private prisons,” Bonta said in an email. “The assemblywoman opposes private prisons and has taken a leadership role in legislation to effectively put them out of business,” McLaughlin said in an email. Meanwhile other Democratic lawmakers are calling for reforms to California’s prison health care system through an American Civil Liberties Union bill that would eliminate medical copayments for inmates. Assembly Bill 45 would end the current $5 copay charged to inmates seeking medical, mental health or dental care. Supporters hope the measure will remove financial barriers for inmates who can’t afford to see a prison doctor. All of the measures await assignment to their first Assembly policy committees.